[London: 23 February 2018]: On Tuesday 27th February EcoWorld Ballymore will release new homes at their Embassy Gardens development in Nine Elms, London. The new Suites, 1, 2 and 3 bedroom apartments offer residents luxury living adjacent to the iconic new US Embassy, with prices starting from £750,000. The opening of the new US Embassy in January this year was a defining moment for both Nine Elms and the capital. A number of the new homes to be released will overlook the new US Embassy building and Embassy Square, placing potential residents in the heart of London’s new diplomatic precinct. In celebration of the new Embassy’s opening, Embassy Gardens will host a US-themed sales event on 27th February. Guests will be able to sample a whole host of American treats from live jazz music to themed food and drink. The evening will start with a tour of the marketing suite, with attendees able view the new US Embassy building from the Marketing Suite’s private roof terrace. Embassy Gardens will provide nearly 2,000 new homes for Londoners and the first phase of the development is already complete and occupied. The homes are designed with an ethos of craftsmanship at their core, with interior details handcrafted from high quality materials such as light-coloured oak, marble and black granite and high quality finishes in every apartment. Taking influence from Soho-loft style living, natural light will flood the apartments through floor to ceiling glass windows and open plan design creates a sense of space. The development is also home to the iconic Sky Pool – a world first in swimming pool design. Once complete, residents will be able to swim between two residential buildings, providing a totally unique view of the capital through its fully transparent glass bottom. In addition, all residents will become will become members of the EG:LE club, an exclusive private members club which raises the bar on residential development amenities in London. Commenting on the launch of new homes at Embassy Gardens, Dato’ Teow Leong Seng, President and CEO of EcoWorld International Berhad, said: “The opening of the new US Embassy is a real statement that Nine Elms is well and truly open for business. In light of this, we are delighted to be able to launch new homes at Embassy Gardens, giving more people the opportunity to take part in the area’s transformation”. 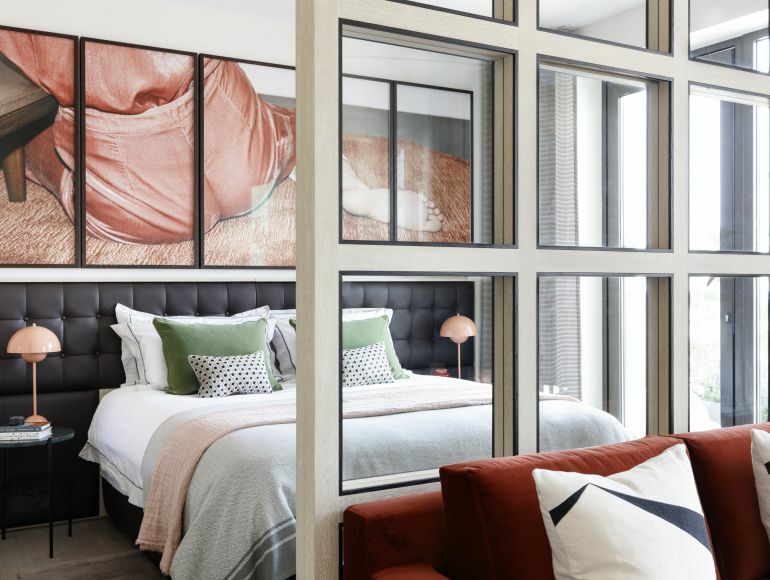 John Mulryan, Chairman and CEO of Ballymore, added: “The popularity of Embassy Gardens has been growing in line with Nine Elms’ remarkable transformation. I would encourage those with an interest in the area to visit the Embassy Gardens Marketing Suit to discover more about life at the development”. EcoWorld Ballymore is formed of Eco World International Berhad, an international property developer with presence in the United Kingdom and Australia, and Ballymore, who have over 20 years’ experience in the London property market. The two companies share the vision of creating some of London’s most exciting and innovative residential developments. Their joint venture represents a careful balance of investment in three of the most important waterside development projects in London’s future, both east and west: Embassy Gardens, London City Island and Wardian London.